JEB 3.0.7 ships with our internal type library generation tool. In this post, we will show how to use native types with the client and API, and how power-users can generate custom type libraries. JEB ships with typelibs for major sub-systems (such as Windows win32 (user-mode), Windows Driver Kit (kernel), Linux GNU, Linux Android, etc.) running on the most popular architectures (x86, x86-64, arm, aarch64, mips). 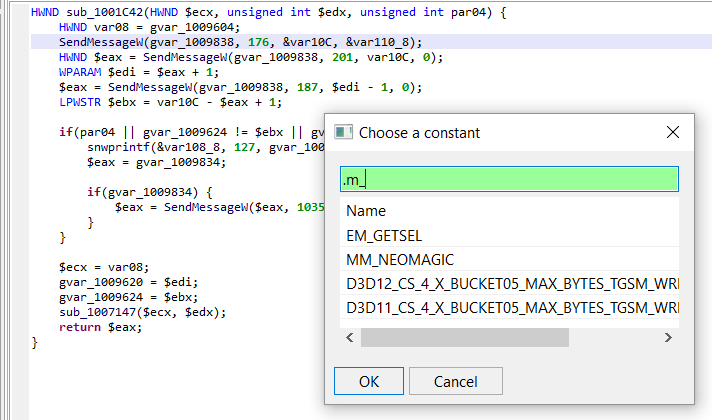 Let’s see how types can be used to ease your reverse-engineering tasks. Using types with JEB is straightforward. 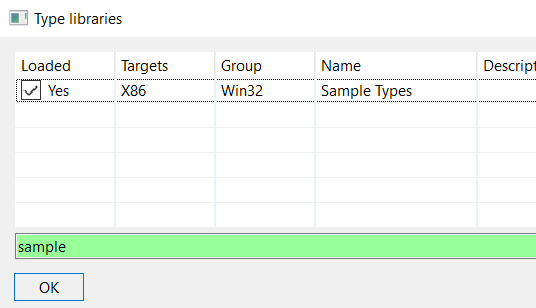 If your file’s target environment was identified (or partially identified), then, matching typelibs will be loaded and their types be made available to the user. JEB features a powerful native type editor, that allows the modification of existing “complex” types (that is, structure and derivative) and the definition of new types. Open it with Ctrl+Alt+T (macOS: Cmd+Alt+T). Below, we are selecting an existing well-known Windows type, IMAGE_DOS_HEADER. The left panel allows you to define the exact structure layout. The right panel is a C-like view of the structure, with actual offsets. Let’s create a new type. Here, we define MyStruc1 to be as such: a structure containing primitives, a nested structure, and arrays. 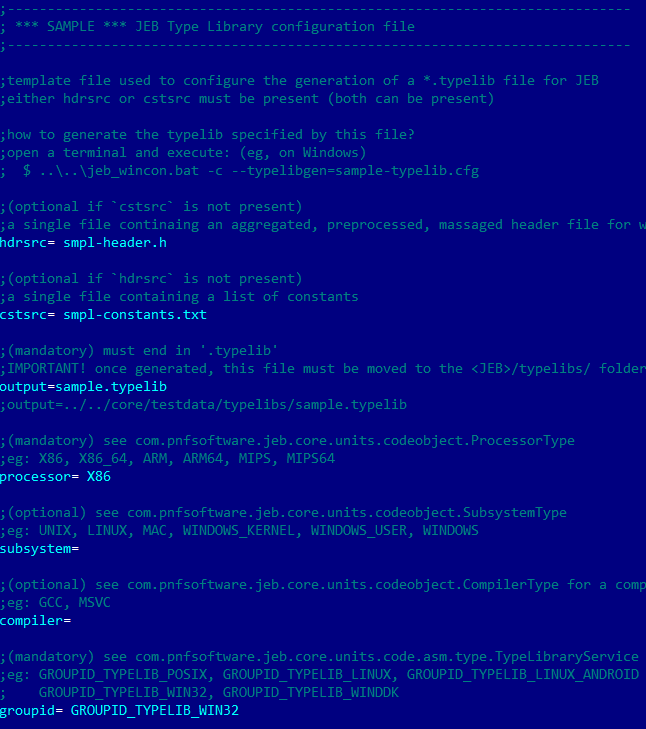 Typelib files also bundle well-known constants, generally defined in header files with #DEFINE pre-processor commands. 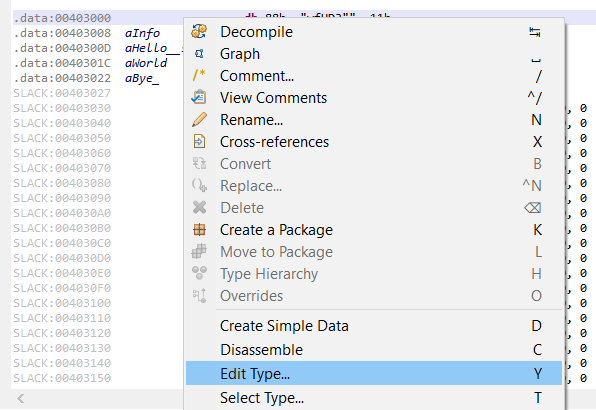 You may use them to replace immediate values in your assembly or decompiler views. Note that the second parameter is the message id. 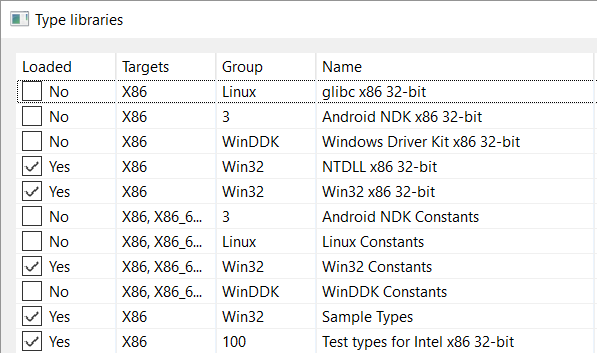 The MSDN provides a long list of well-known ids; Most of them are bundled with Windows typelibs shipping with JEB. 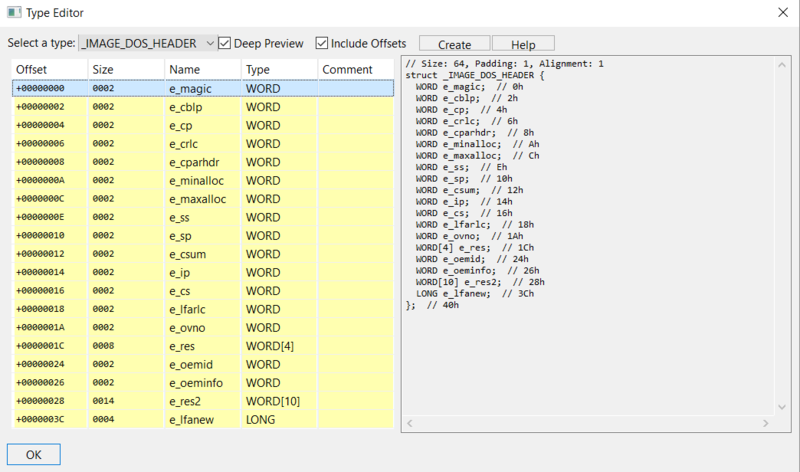 Analysis of a Windows kernel component making use of Driver Kit headers whose types were not added to JEB’s pre-built WDK typelibs (our own wdk10-<arch>.typelib files do not contain all WDK components, although they do contain the most important ones). The types of platform X were not compiled for a given architecture (eg, JEB does not ship with Linux types specific to Atmel AVR microcontrollers). The binary to be analyzed makes use of a third-party SDK and the program is dynamically linked to that SDK. In that scenario, a user may want to generate typelibs for the SDK for the platform of their choosing. You may want to copy the sample configuration file and adjust it to match your requirements. 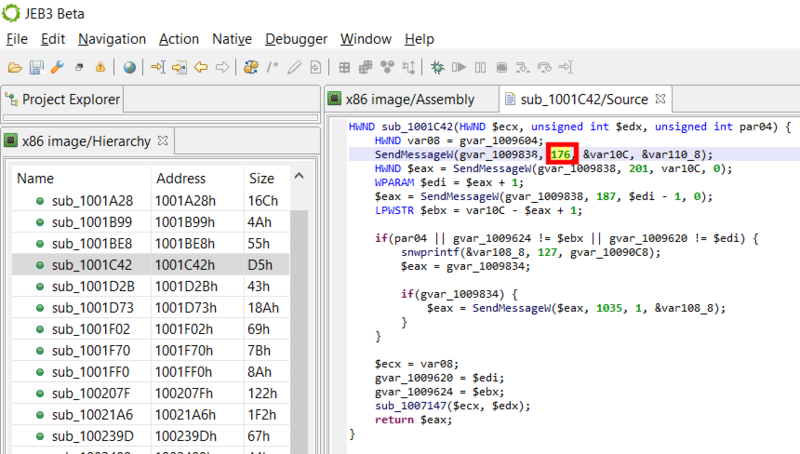 The aggregated header can be generated by pre-processing a simple C file including your target header file(s). 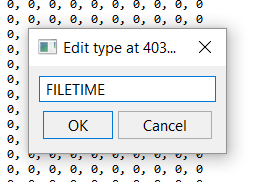 $ cl.exe" /P 1.c /D "WIN32" /D "NDEBUG" /D "_CONSOLE" /D "_UNICODE" /D "UNICODE" /D "_ARM64_WINAPI_PARTITION_DESKTOP_SDK_AVAILABLE=1"
The resulting file will be quite large – and is likely to contain much more than just stdio.h type information (all headers recursively-included by stdio.h would be processed as well). 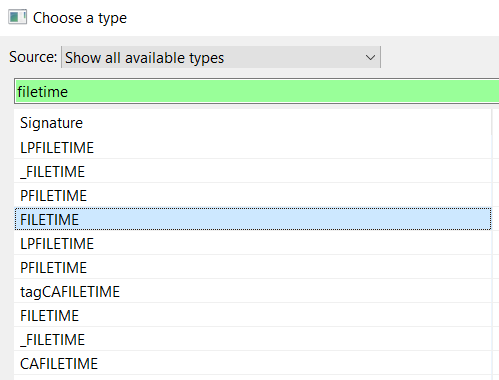 As seen earlier, typelib files can also contain list of named constants – generally, they will be those constants that are #DEFINE’d in header files. They can be scraped from C/C++ header files. JEB ships with a handy Python script that will help you do that quickly: see typelibs/custom/collectDefines.py (other tools exist, such as GCC’s dM flag, but they may not generate all constants, only those that are preprocessed with a given set of precompilation parameters). 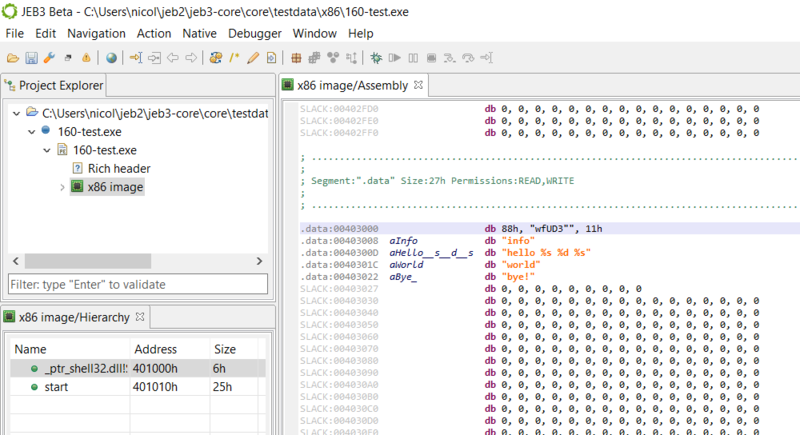 If your typelib configuration matches your input files (most notably, the groupid and processor fields), then JEB will load it automatically during analysis of your input file. Obviously, you may decide to force-load a type lib by ticking the “Loaded” checkbox. Native types, like any other component of JEB, can be accessed with the API. Scripts and plugins can use the API to programmatically retrieve, define, apply types, as well as manipulate type libraries. We shall upload more sample scripts in the future. Feel free to share your contributions with us as well. JEB3 is still in Beta, for a few more weeks. General availability should be expected during the first or second week of January. If you haven’t done so, feel free to ask for a Beta build right away. Once again, thank you to all our users, we are very grateful for your feedback and support. Finally, a special thank you note to our user “Andy P.” who pushed JEB’s boundaries relatively far (!) and allowed us to uncover interesting corner cases when working with large firmware binaries.